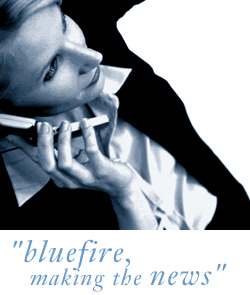 Bluefire Consulting | Service engineer (international). : service, field, engineer, electrical, electronic, 3 phase, factory, PLC, drives, lasers, robots, plant, team leader, supervisor, manager, HND, conveyors, travel, voltage, UV, sensor, Mechanical, Technical, PCB, programme, manufacturing , industrial. JOB TITLE: Service engineer (international). Field Service engineer £27000 for a 39.5 hour week most engineers earn around £40K+ with the overtime in the first year but there are much high rewards moving into second and third years of service. The role comes with a fully funded company car which includes all personal mileage. Crawley UK The role This role will require you to carry out the installation of electro-mechanical industrial equipment predominantly on to printing presses - both as new and retrofit equipment. £27000 for a 39.5 hour week most engineers earn around £40K+ with the overtime in the first year but there are much high rewards moving into second and third years of service. The role comes with a fully funded company car which includes all personal mileage. We welcome engineers to apply who are located in Europe who have to correct experience and prepared to relocate to the UK and have strong English language skills. This role will require you to carry out the installation of electronic/ mechanical industrial equipment predominantly on to printing presses - both as new and retrofit equipment. The role will require you to carry out commissioning and recording measurements. The role will require you to test 3 phase industrial equipment to satisfy the customer's requirements and provide operator training. This role will be predominately based in the UK and overseas worldwide working mostly alone but with support from the in-house service team. The role comes with complete training of the products and services that you will be taught how to measure & record information using a variety of instruments including air pressure, temperature, voltage, current, UV sensors following the quality test checks. The role comes with all tools, clothes and equipment that is needed. This is a unique opportunity an M&E field service engineer to join a global company. The ideal candidate will have good electrical/mechanical qualifications HND/HNC/16th or 17th Edition with a number of years of field service experience. Knowledge of PCBs & PLCs (up-loading of programmes and interrogation of fault record for trouble shooting) would be very warmly received. Candidates will need to be very customer focused and be comfortable working internationally throughout the week. Candidates with strong electrical backgrounds in a manufacturing setting would be warmly welcomed. The role requires extensive worldwide travel as the company has clients in Europe, Australia, USA, India, and Thailand. Due to the international travel, the opportunities for overtime are vast and though you're basic salary will be £27000K you will have the opportunity to earn in excess of £40000+ per annum. All expense will be paid while you are away. This position is ideally suited to those with experience of full time field service work, who like a role with worldwide travel. Trips are usually between 1-5 days long and thus you will usually be home at weekends. Candidates must have a current valid driving licence and be to free to travel throughout the world without restrictions. Our client are a global leader in their field, and are experiencing a time of significant growth. The client has a strong ethos for developing its employees and after a couple of years in the field you will be encouraged to move in house in an engineering role. The company ensures that while you are away on your travels you will be stay in hotels of at least a 3* standard and also on very rare occasions provide business class flights. The company has a very low turnover and most employees stay with the company for a very long period of time. 20 days holiday, plus UK Bank holidays - per calendar year. Holiday entitlement rises with length of service. service, field, engineer, electrical, electronic, 3 phase, factory, PLC, drives, lasers, robots, plant, team leader, supervisor, manager, HND, conveyors, travel, voltage, UV, sensor, Mechanical, Technical, PCB, programme, manufacturing , industrial.